With the advent of holy month of Ramzan, TV channels in Pakistan unleash Ramzan show on its viewers. These shows are highly commercialize shows with focus is restricted on cooking or health related issues along with religious discussion. Ramzan shows may have entertainment value but unfortunately they are devoid of material though which to interact with audience and viewers. 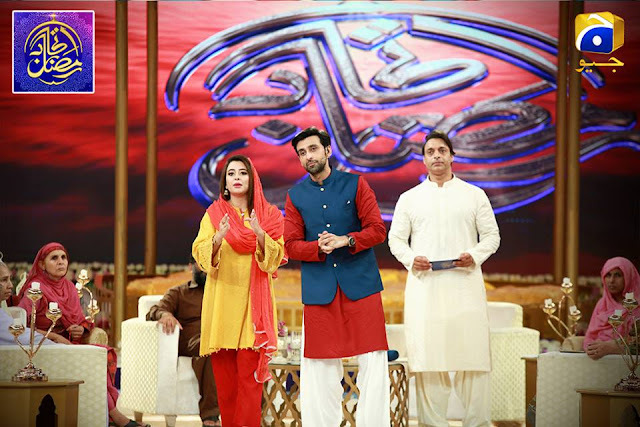 In this scenario, GEO TV network in this month of Ramzan aired its show Ittehad Ramzan which is superbly crafted and carry the required elements to connect with viewers and also to create awareness in them about religion and other important matters pertinent to daily life. This show is hosted by crowds’ favourite host the evergreen Rabia Anum along with Sami Khan. 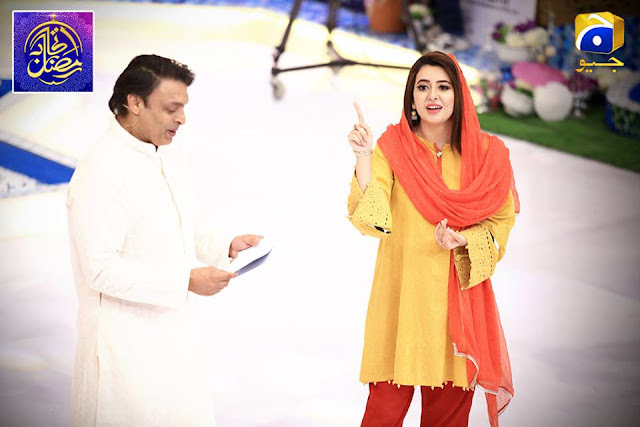 This show is divided in many segments and my favourite segment is Dil sey kehdo. In this segment, participants are provided with a platform to voice interactive arguments on a various interesting topics. 4 participants deliver their debates and the winner is sent to the quarter finals. The winner is also get lot of gifts. Yesterday’s Dil Sey Kehdo segment was unique because of the fact that all the debaters were blind. They expressed their thoughts on the given topic with zeal and passion. The judge was so impressed by their performance that he declared all of them winners. Iconic cricketer Shoaib Akhtar was the guest in show for two consecutive days. 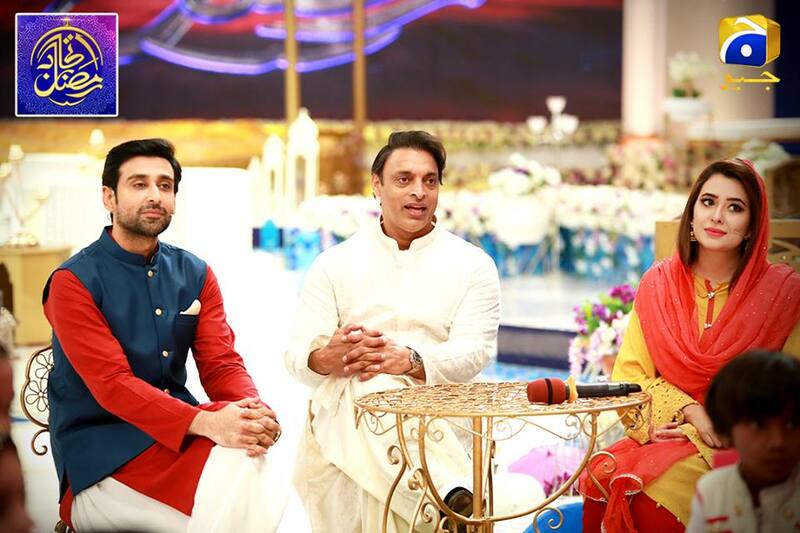 Shoaib enjoyed his participation in the show and praised GEO TV for organizing this interesting Ramzan Show. 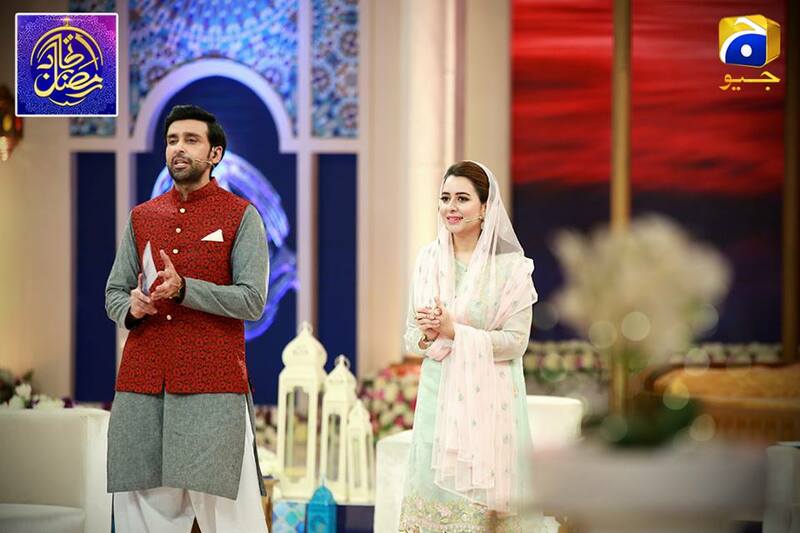 CSR segment is another worthy segment of Ittehad Ramzan .In this segment, needy and grief-stricken families are invited on the set. Donations are raised for them in live transmission. Audience on the request of Rabia Anum and Sami Khan contribute generously for this noble cause. NGO’s are also invited on this platform to find new ways and methods to help needy families. Few days ago, CSR segment helped lost mothers in finding their families through GEO Television’s special Ramzan Transmission Itehad Ramzan. Sada-e-Hassan. A naat competition and Rabb-e-Zidni Ilma, a quiz competition based on religious questions are also popular among the fans of Ittehad Ramzan. The segment Qasas-ul-Quran is hosted by Umair Rana. This segment sheds light on the events discussed in Holy Quran. A different event related to a messenger is discussed every day. Ziyarat (pilgrimage) to sites associated with our prophet Hazrat Muhammad, his family members, His companions and other venerated figures in Islam such as the prophets are carried daily. Ittehad Ramzan is another pioneering effort of GEO Television. Hope in future audience will view more shows which promote love and harmony in society and make a genuine effort to unite public.